For the first time in its more than forty years in Ireland, the Focolare movement will be holding its all-Ireland annual gathering in Belfast this weekend. The aim of Focolare is to contribute with others towards building a more united world, drawing inspiration from Jesus’ prayer, “May they all be one” (Jn 17.21). The event in Stranmillis College in the heart of Belfast, brings together Christians from several denominations and has as its theme: ‘Building Community Together’. Tomorrow (Saturday 7th April), will be an Open Day reflecting on how people can contribute to strengthening a culture of trust and peace in their local communities, institutions and families. 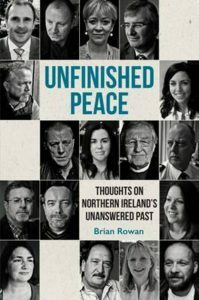 Brian Rowan, journalist, broadcaster and author of several books including Unfinished Peace, will give the keynote address which comes just days before the 20th anniversary of the Good Friday agreement. Tomorrow afternoon, after a reflection on the role of suffering in developing true dialogue, examples of initiatives will be presented such as the 4 Corners Festival in Belfast. Fr. Martin Magill, Catholic parish priest of St. John’s Parish in Falls Road, and Rev. Anne Toland of Newtownbreda Presbyterian Church, will be among the contributors. Bishop of Raphoe, Alan McGuckian SJ, will be the chief celebrant at a vigil Mass on Saturday evening. 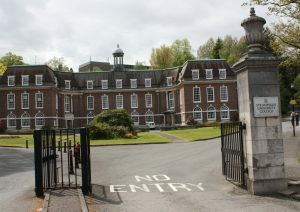 The open day tomorrow at Stranmillis College Belfast, begins at 10.00am.